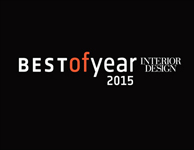 Winners of Interior Design's Best of Year 2015 award, our modular room dividers are composed of standardised sections for easy construction and flexible arrangement. 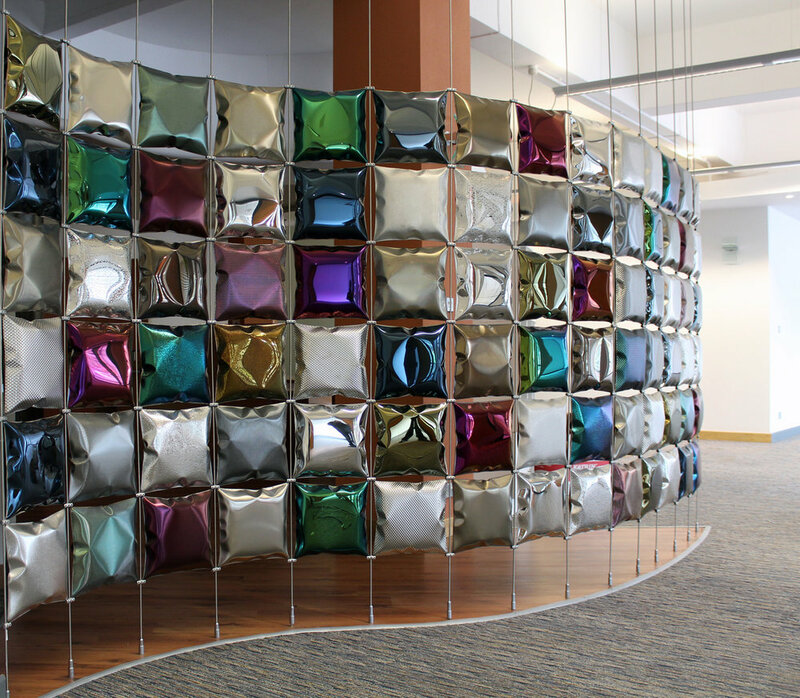 The Kaleidoscope is our suspended room divider which has modular sections made of triangular blown 'cushions' that connect with magnetic fixings. Depending on your space, you can connect as many sections as you like. The original Pillow Screen is also modular, but has square cushions and is available as a floor standing or suspended room divider. 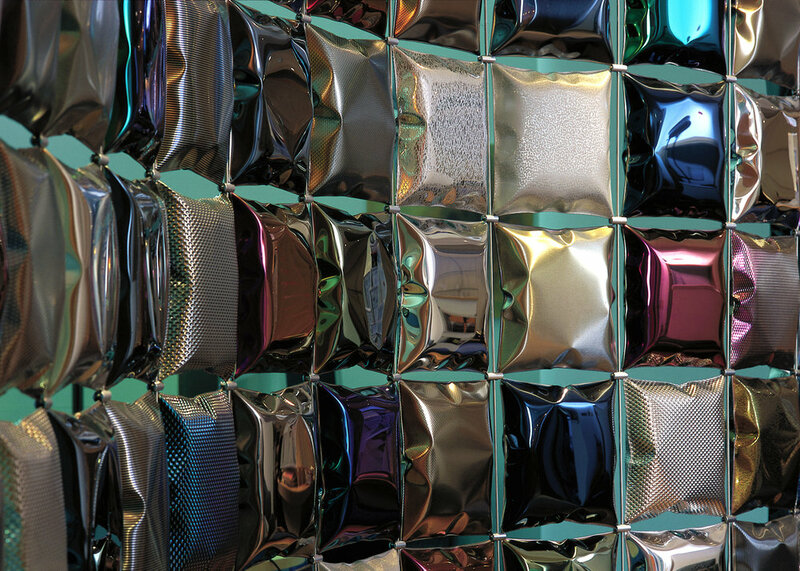 Stainless steel coloured finishes using Colourtex® or Steel Colour® are available in a variety of colours including black, blue, bronze, champagne, charcoal, gold, green and red). 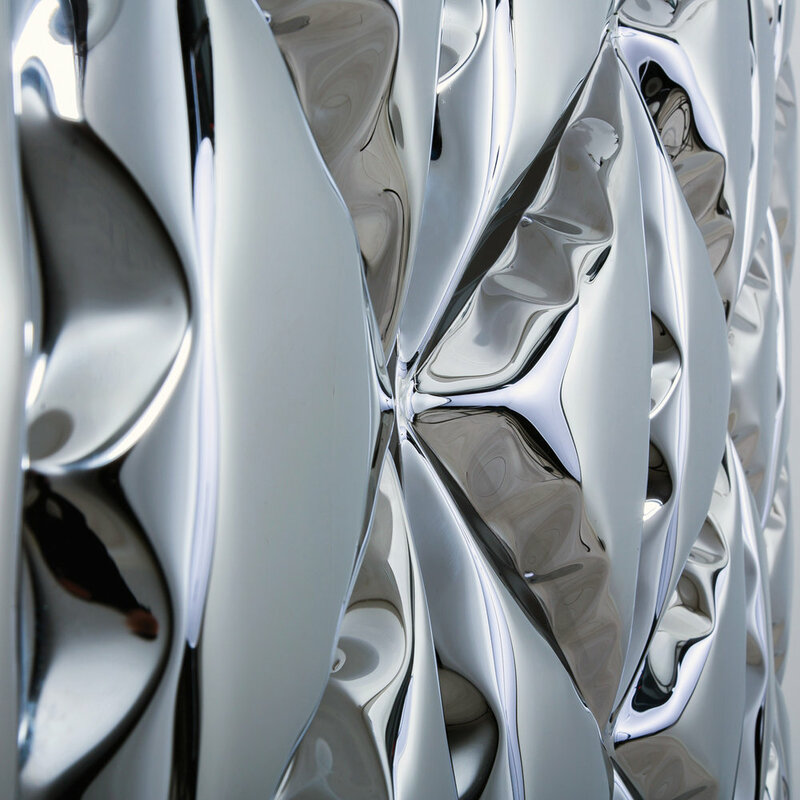 A variety of textures, patterns, surface effects and techniques such as etching and embossing with patterns or custom designs can be arranged (please contact us for a copy of our technical pdf which provides full listings of custom finishes and specifications). 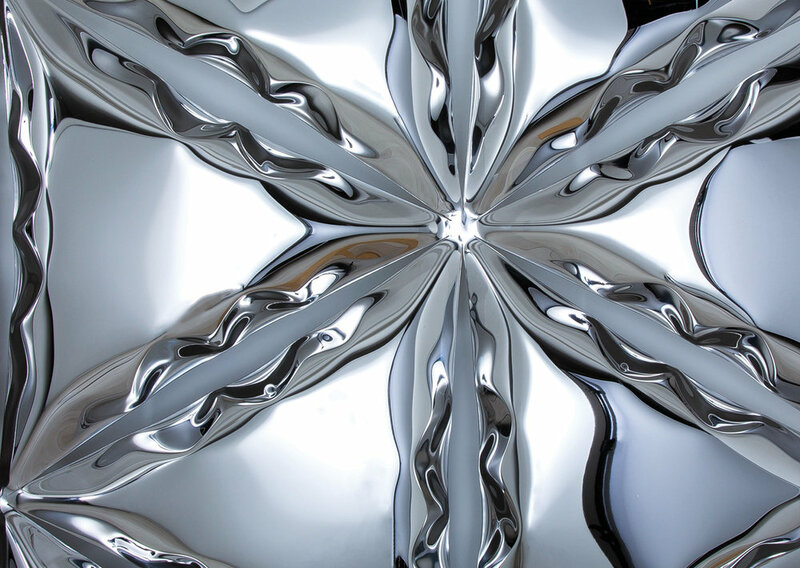 Our Super Mirror stainless steel is also available. This is the most perfect polish that can be produced on stainless steel, its lack of grain and near perfect polish has reflective qualities like a glass mirror. Do you have any other specific requirements, such as lead times or concerns regarding installation? Thanks for telling us how you'd like to blow it up!